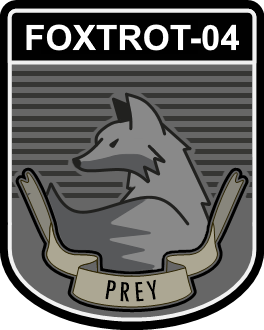 Description: Originally established as a special reconnaissance unit in 1972, Assault Mobile Specialized Team Foxtrot-04 has since expanded its internal divisions and adapted in other forms of environmental conditions throughout the years. Primarily, AMST Foxtrot-04 focuses its tasking on rapid deployment in situations where anomalies require to be contained and retrieved following their discovery or initial containment breach within an Authority facility. While relatively moderate, AMST Foxtrot-04 has multiple response teams ranging stationed across the world on standby at all times. Air Operations Division: +60 Personnel, 8 MH-60M Blackhawk, 4 Boeing CV-22B Osprey, 4 MH-47G Chinook, 6 Eurocopter AAS-72X+. Ground Operations Division: +80 Personnel, 15 Oshkosh M-ATV, 10 Interim Armored Vehicle Stryker, 24 Bradley Fighting Vehicle. Description: Following multiple containment breaches occurring within Site-██, AMST Foxtrot-04 was dispatched to control the situation and had deployed CIF Detachments 1-3 to handle the matter. Due to the Site facility being in close proximity of a populated area, CIF Detachments were given authorization to use force whatever means necessary, and the situation resulted in the containment of most of the housed anomalies. Current surveying and retrieval for the breached and uncontained anomalies from the Site facility is currently ongoing. Description: AMST Foxtrot-04, posing as an FBI HRT Unit, was dispatched to a corporate facility that was believed to be involved in illegal smuggling of anomalous objects onto the black market. Person of Interest, Daniels Antonio, was apprehended by AMST Foxtrot-04 and later was transferred over to the Authority Intelligence Bureau for further interrogation. Mr. Antonio confessed to Authority operatives that the operations was ran by a fmr. Authority researcher, and has since been operating in the mid 1980s. Description: AMST Foxtrot-04 had deployed CIF Detachment-04 ("CBRN") into ████████, Colorado, following numerous unconfirmed reports of an anomalous biological attack. With the support from the Air Operations Division, CIF Detachment-04 had fought their way through the area, and the siege approximately lasted about two and a half hours. Following the attacks, an investigation ensued with the assistance of the American GOI-0812 ("Division 15")1, and it was later discovered that many of the attackers have been previously employed by the PCCAO. However, the PCCAO's involvement onto the matter was largely denied by the Chinese Government. 1. The Office of Extranormal and Research Agency, or Division 15, is one of the few existing anomalous agencies within the United States Government. While under the oversight of the Secret Service, the agency has recruited federal agents from various agencies and departments.